In the weeks following the Federal election the Greens have been subject to a rising tide of media-fuelled speculation focused on the departure of staff and a lowered election vote as evidence the party is in decline and the leadership of Christine Milne is under threat. But taking the long view, the past decade has seen the Greens rise to become the recognised party of the left and the third force in Australian politics. This has been an extraordinary achievement against a backdrop of vicious media attacks, including the relentless call for the destruction of the party from the pages of the Murdoch press. The Greens are the party the media love to hate – and even major victories such as Adam Bandt winning Melbourne without Coalition preferences, receive little media attention while rumour-mongering around supposed political affiliations routinely make front-page headlines. This is the political and media environment the Greens have been forced to navigate from the moment they came into existence. In this context it is quite extraordinary that the party appears to likely emerge from the 2013 Federal election with the same number of senators (10) they had before the election. This has been achieved despite the Greens having lost its long-time leader and founder Bob Brown in April 2012 – just 18 months out from the election. Many pundits suggested that the departure of Brown would spell the end of the Greens, that the party would not be able to continue to appeal to the electorate without his intelligence, media savvy and renowned political conviction. While it hasn’t been a smooth ride for Milne, she has certainly proved her critics wrong. She has provided consistent leadership, avoided overly negative politics and steered the party through the treacherous waters of forming and dissolving a federal power-sharing arrangement with the ALP. She has survived the transition in leadership with grace and steadfastness of vision. As the ALP drifted further and further to the centre-right in the lead up to the election, Milne chose the right moment to severe the Greens partnership. She took the life raft on a sinking ship in the nick of time, and avoided being subsumed in Labor’s inglorious defeat and losing the Greens credibility in the process. Like Julia Gillard, Milne displays a tough-as-nails immunity to media attacks. Unlike Gillard, Milne keeps her focus on the bigger picture issues of tackling climate change, rejecting the politics of fear around refugees and unambiguously supporting marriage equality. Like Bob Brown, there is no ambiguity on where Milne stands on key issues – often the very issues the ALP has struggled to find consistent positions on. In Melbourne Milne’s adroit deputy Bandt capitalised on these issues, backed up by a sophisticated and effective public outreach team that made his presence resonant enough to get him over the line. His victory will be closely studied by the party as a template for future Greens campaigns around the country. It is true that the Greens sometimes damage themselves by overstating their success. Milne’s post-election synopsis that the result was “extraordinary” for the party was somewhat off-key in the face of a 2 percentage point drop in vote nationally. But the Greens have more than proved themselves to be a formidable force that is not about to disappear from the Australian political scene. When the German Green Party split in the 1990s after Joschka Fischer and Petra Kelly developed differences over whether the party should embrace puritanical or pragmatic politics, it was the latter that ultimately won the day and Fischer went on to become Germany’s foreign minister and vice-chancellor. 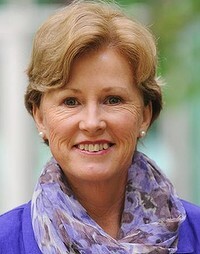 In Australia, the real threat to the Greens is not from Milne as leader, but rather finding a way to meet the challenge of keeping the more radical and less disciplined voices in the party on a leash, incorporating progressive viewpoints internally and remaining steadfast to the party’s core founding principals of ecological sustainability, grassroots democracy, social justice and non-violence. In reality, the future for the Australian Greens under Milne and Bandt should be greeted with optimism. The Greens will continue to provide a safe haven for voters who maintain a vision for Australia as a progressive, environmentally responsible and ethically erudite country. As the electorate wakes up to the harsher edges of Abbott’s policies over the next three years, the core values the Greens stand for will come into sharp relief.